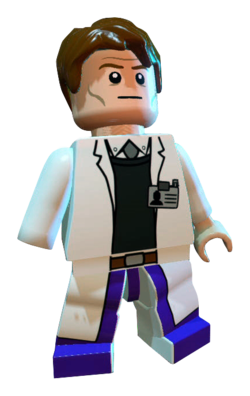 Curt Connors, alter ego of the Lizard, is a Marvel Super Heroes minifigure that appears in LEGO Marvel Super Heroes. The Lizard is Curt Conner's alter ego and a Spider-Man villain. He isn't fully evil and has occasionally helped Spider-Man while not in his Lizard form. However, the Lizard takes control over his human side, corrupting his good intentions, which has lead to innumerable battles with Spider-Man. He lives with his wife and son in Florida.